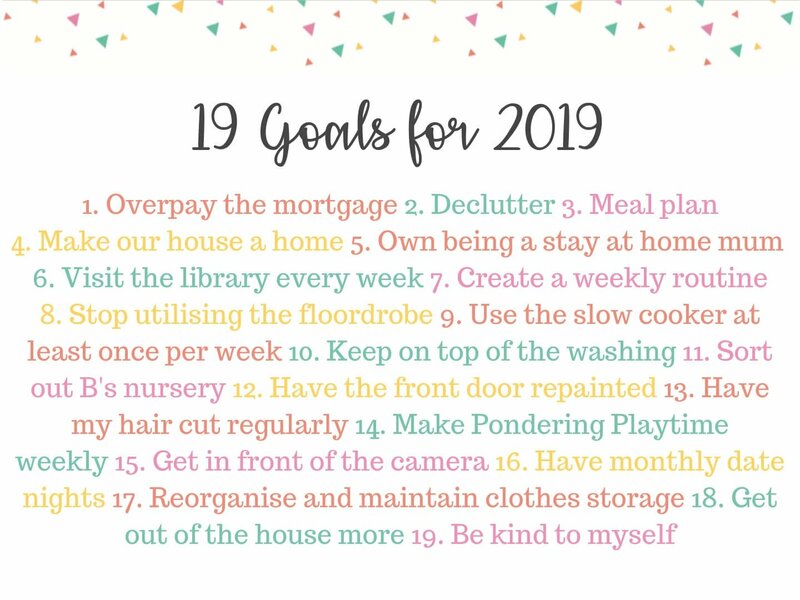 At the start of the year, I wrote myself 19 goals for 2019. Most of them are ongoing, so I thought I’d write a progress post to keep myself accountable and remind myself of any that I may have forgotten! This is something that we started doing last year, and we’ve continued it this year. I love knowing that however small the overpayment is, it means that we’re not paying interest on that amount for the next twenty years. It also means that if we do decide to move to a bigger house (and therefore a bigger mortgage) in future, we’ll find the higher monthly payments more manageable. I even told my hairdresser about my plans, and inspired her to do the same! This is very much an ongoing project! Every time one of those charity bags falls through the letter box, I gather together a bagful of items to donate and pop them on the doorstep. I also got Matthew to watch an episode of Marie Kondo on Netflix and he donated three bags of clothing to charity that weekend. So we’re making progress, slowly! I still have a book case and some boxes of baby-related things in B’s room that I need to declutter and sort, and the kitchen needs reorganising, but things are definitely improving, a little bit at a time. I’m not as far along with this project as I’d like. But, I have added a few little touches, and I’ve been practising keeping plants alive by growing some herbs on my windowsill (which I’ve bought matching pots for). I think I really need to complete the decluttering stage before I start on the ‘making pretty’ stage. Having said that, our fence blew down a few weeks ago and so we’ve been forced to replace it. It’s made the garden look so much tidier, so now I’m keen to make a little seating area out there ready for the summer. Just after writing my original goals post for this year, I received my P45, officially making me a stay at home parent. I wrote a post about how I felt about this change. 95% of the time I love being a stay at home mum, but there’s still that 5% that would love to have just a bit of ‘me’ time. I think that’s 100% normal, though. We don’t manage to make it to the library every single week, but we do go most weeks. Sometimes, we’ll only stay for half an hour, just long enough to return some books and choose a few new ones. But M loves it. 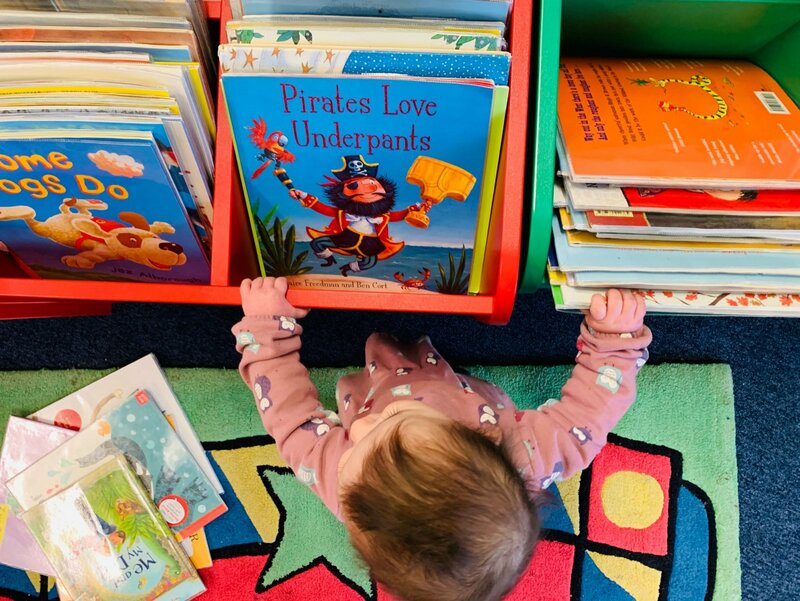 She enjoys organising her library books at home, selecting which ones she’s prepared to return that week, and declaring the others that she wants to keep for at least another week longer. At the start of the year, I planned to have plans with the girls, every single day of the week. And it started off that way, but after a couple of weeks, I soon realised that life was feeling too hectic as we were in a rush to be somewhere every morning. Once we cut a couple of activities from our schedule, things felt a little more relaxed. We do still have a weekly routine, but with more flexibility and more down time, if we feel that we need it. This is an ongoing, but improving situation! I’m definitely less lazy about leaving clothes on the floor, but I need to reorganise my clothes storage a little more, and create some kind of system to keep the can-be-worn-again clothes organised. We’ve also sold our Snüzpod now, so that’s no longer sitting next to my side of the bed, being a makeshift clothes horse! This one, I’m definitely winning on. In fact, the slow cooker is on as I type this. I’m a complete slow cooker convert. I bought a myself a new slow cooker cook book (I’ll pop an affiliate link below, if you’d like to buy a copy; I highly recommend the Moroccan Chicken) and it’s helped me to expand my slow cooker repertoire. One of my favourite meals is this gluten free lamb tagine recipe. I now use my slow cooker at least once a week, but usually twice. I imagine this might reduce as we move into summer and start to eat more salads. But for now, I love being able to quickly throw ingredients into the slow cooker while the girls are finishing off their breakfast. I also don’t need to worry about trying to cook dinner at 4pm when the witching hour starts! I’m not doing too badly with this. I try to make sure that I fold clean washing the same day that it’s washed and dried, to avoid the inevitable washing mountain that forms if I don’t manage to do so! 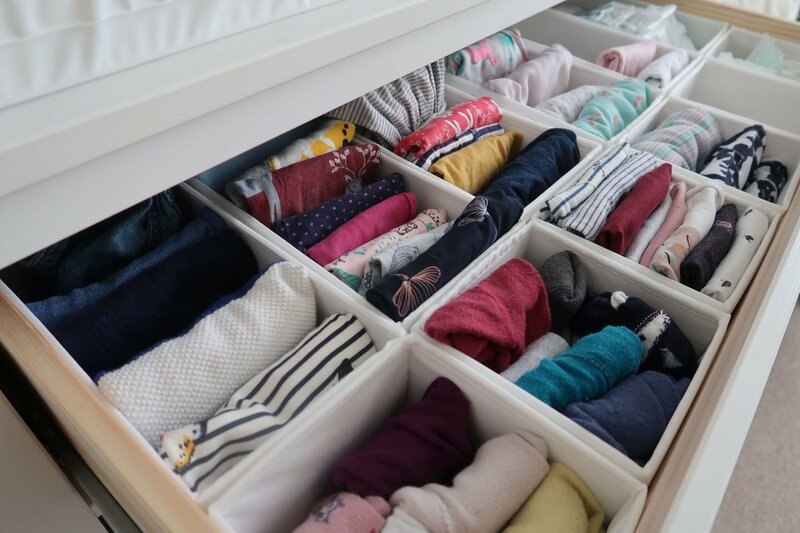 I wrote this post recently about how the KonMari fold changed my life, and it’s true. I take pleasure in having tidy drawers (and I never thought I’d say that!). I’ve made a tiny bit of headway with this and sorted out one shelf. More progress is needed! I’m hopeful that now we are at the start of the Easter holidays and Matthew is at home, I’ll have more of a chance to get in there and sort it out. This is still on the ‘to do’ list! I’m still doing this. I even make my next appointment while I’m still in the hairdressers. I really enjoy having that bit of time out of the house by myself, especially as my hairdresser is lovely. We have similar aged children so always have something to chat about. She even did a Q&A about postpartum hair loss for the blog. I have kept up with this as I’m a bit of a stickler for my blog schedule, but it has been a bit of a challenge some weeks! 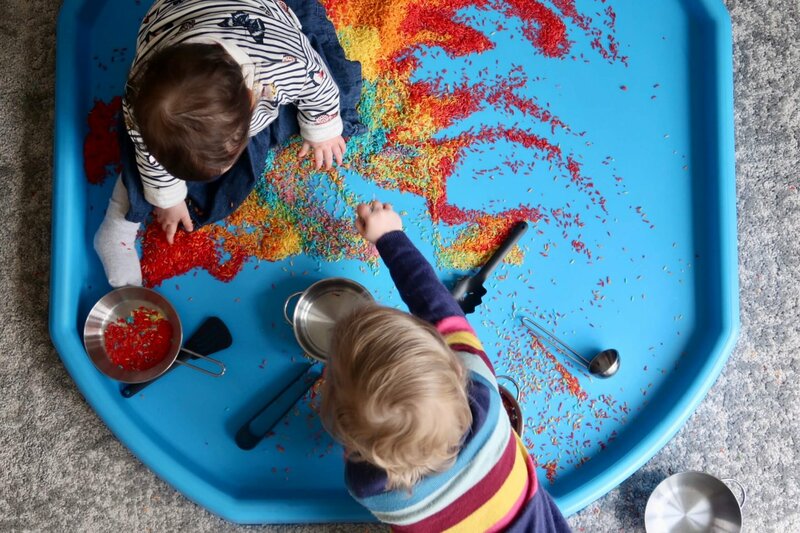 We don’t always manage to get an activity done during the week if we’ve had a busy one, so sometimes I’ll write a round up post, like this post of activities linked to the Very Hungry Caterpillar. Generally, though, the girls enjoy their weekly tuff spots or craft activities. I just need to find the time to get a little more organised with them, I think! I take quite a lot of breastfeeding selfies for my Instagram stories but other than that, I am failing at this one! We really need to do something about B’s bedtime habits as this is definitely creating a barrier to planning date nights! She rarely goes down to sleep before 8:30pm, so I invariably spend my evenings stuck under her. We’ve managed one date night since I set these goals and while it was lovely, we need to make it happen more frequently. This still needs more work. I’ve decluttered a lot of our clothes but now that B has moved into her own room, I need to rearrange the clothes storage in our room. I have drawers in there that were full of vests, sleepsuits and muslins just in case they were needed in the night. They’ve been passed on to our local Baby Bank now, but I’m yet to sort our clothes to refill the now-vacant drawers. This has made a real difference to my mental health and I know that the girls like being outside. Since M was born, each night I’ve asked her what her favourite thing that day was, and shared my favourite thing. Now that she’s old enough to share her opinion, she always asks, “did we go out today?” (I’m not sure how she manages to forget what we’ve done that same day, but I suppose that’s toddlers for you!) and invariably her favourite thing will involve somewhere that we’ve been. This is ongoing. I still have times where anxiety gets the better of me and I say and do things that I beat myself up about and worry too much over. I go to baby groups and worry that the other mums don’t like me, that I’m not trendy enough or interesting enough. If I don’t hear from a friend for a while, I worry that I’ve said or done something to upset them and they no longer want anything to do with me. Then I have more rational days where I know that it’s just life making people busy, or we haven’t set an actual date so of course nothing gets arranged and I haven’t done anything wrong at all. Perhaps I just need to be a little braver and put myself out there a bit more! 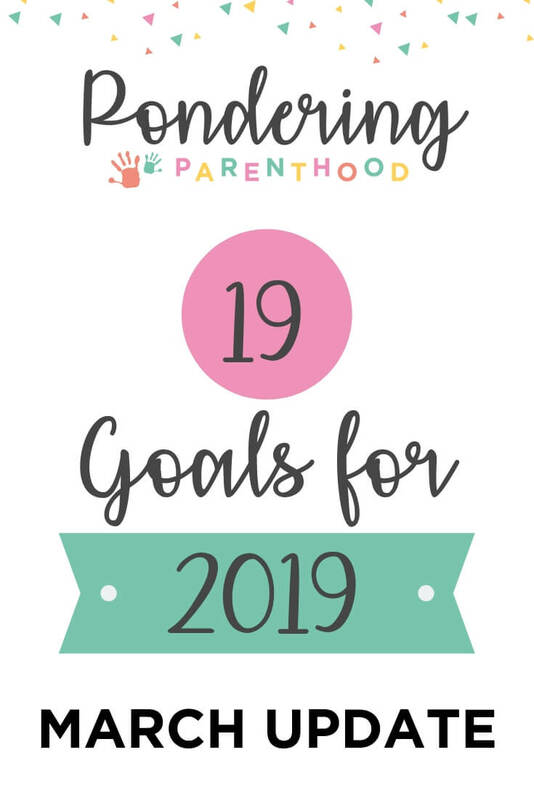 Have you set any goals or resolutions for this year? How are they going? Let me know in the comments! "Pondering Playtime // Easter Egg Painting with Little Brian Paint Sticks"